There’s a wall in my apartment that’s blank, in desperate need of a statement piece. Some kind of sign, I thought. But so many decisions go into making a sign. What should it say? What colors, materials, textures do I want to use? How can I make it unique in a time where DIY signs are popping up everywhere? I’ve been obsessing about this sign for some time. Slowly a wacky idea began to take shape. YUM, came first. The wall is in the kitchen so I wanted it to be food related and yum is one of my favorite tiny words. 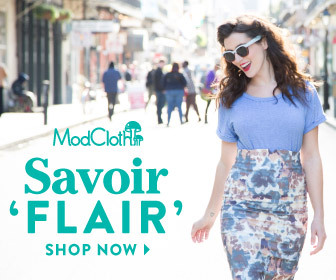 Then I saw this, and it all just kind of came together. 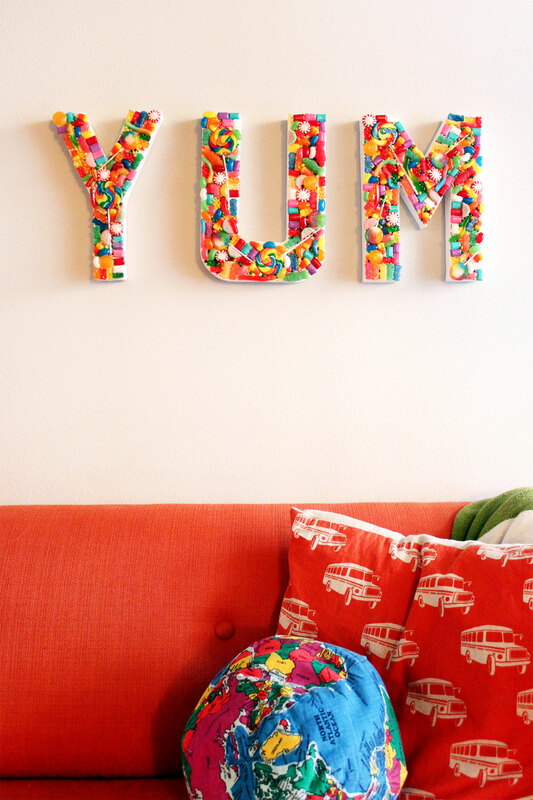 Today I’m happy to present the best and most ridiculous thing to ever hang in my apartment- A DIY candy YUM sign! Yep. I went there. 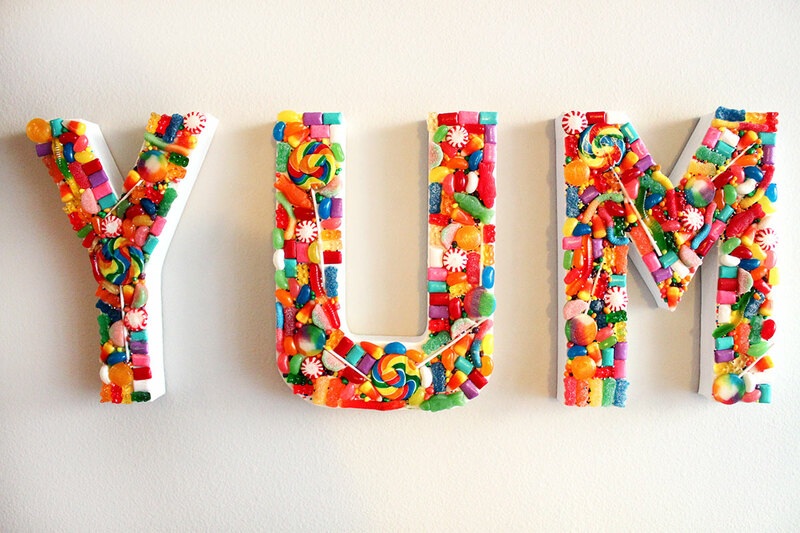 I made a sign out of candy. 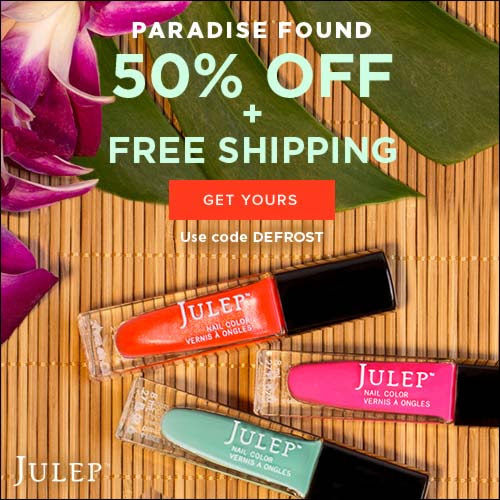 And now you can too! 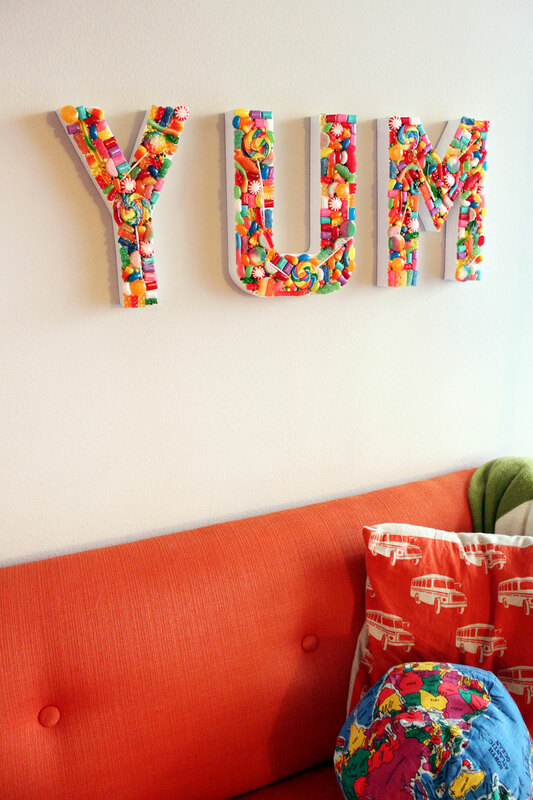 If you love color and sweets as much as I do, this sign is for you. For those of you not sold on the idea, and think it’s a little gross to hang food from your wall, I’d like to direct your attention to that macaroni ornament hanging from your tree. Same diff!? I even sealed my sign with multiple layers of heavy duty varnish to keep it looking fresh for years to come. Hooray! Decide what you want your candy sign to say. I chose YUM! 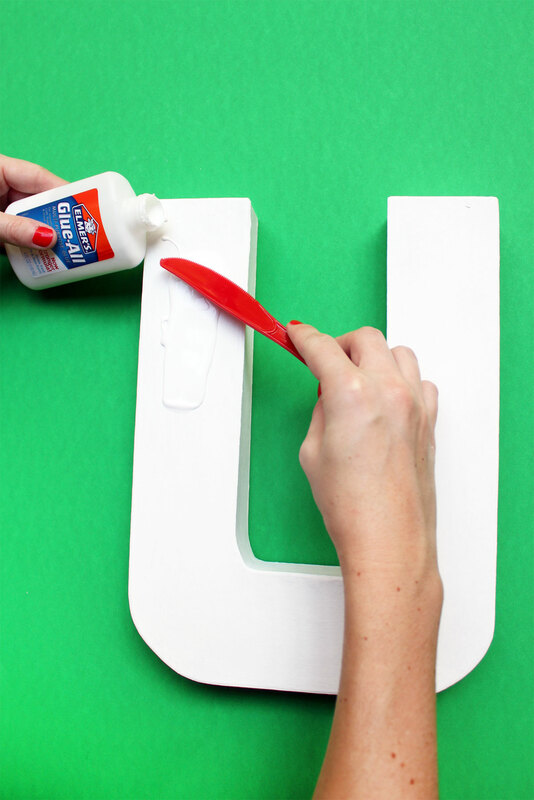 Remove stickers and plastic from paper mache letters. Paint Letters white. 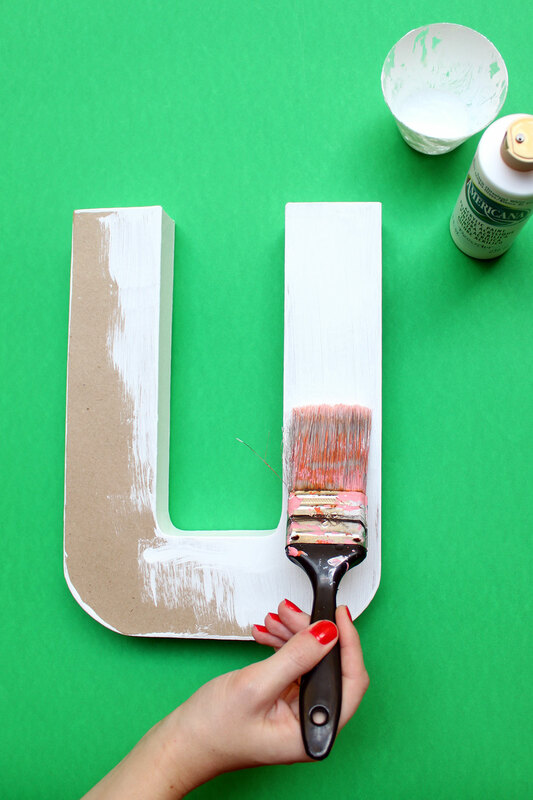 Once paint has dried completely, pour glue onto a letter's surface and spread to cover a large section. 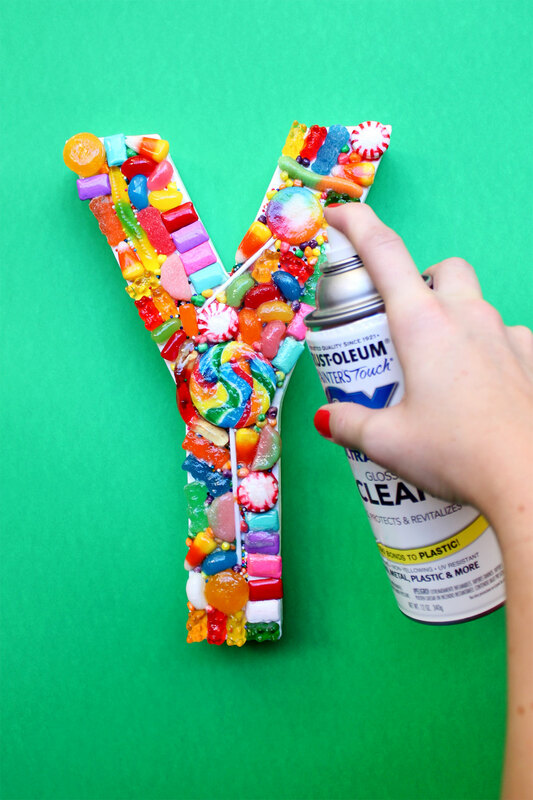 Place candy onto wet glue. 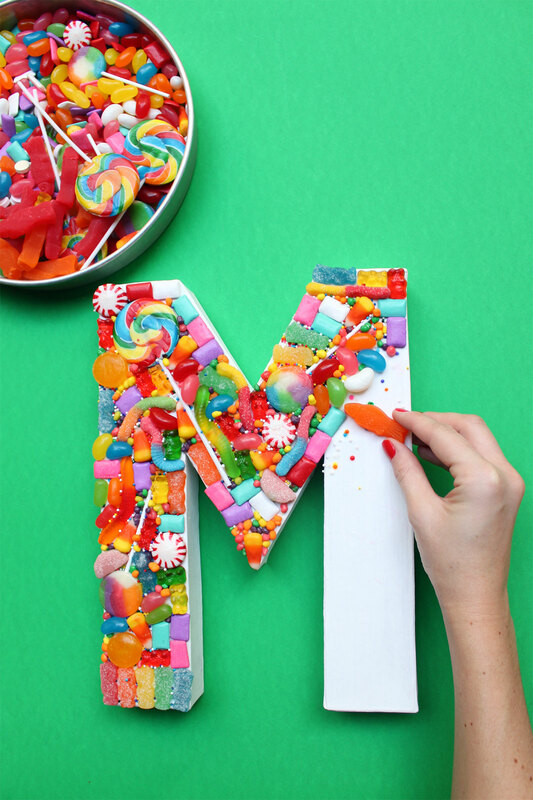 Continue until entire letter is covered with candy. Repeat process with remaining letters. Let glue dry completely. Spray a few coats of sealer onto candy letters. Hang and enjoy!